Today, there are numerous shows through which any youngster can prove their talent and enter into the world of cinema. While nepotism is inevitable in the film industry, but we should also agree that the concerned actor/artist should have the talent to prove themselves despite their family dominations in the industry. 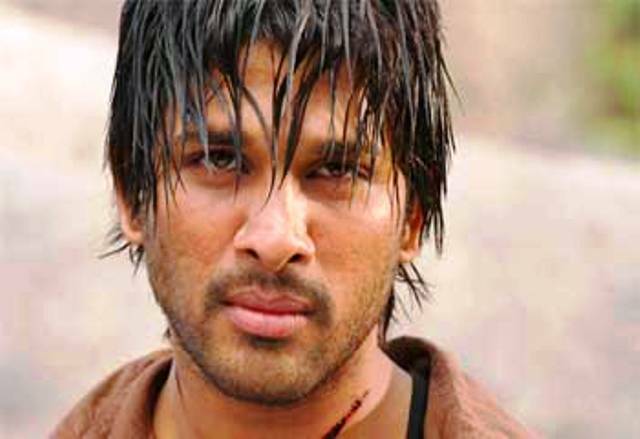 One such young actor who has proved himself as a good artist is Allu Arjun. Despite his family influence, he established himself as a skilled artist in the south Indian film industry. 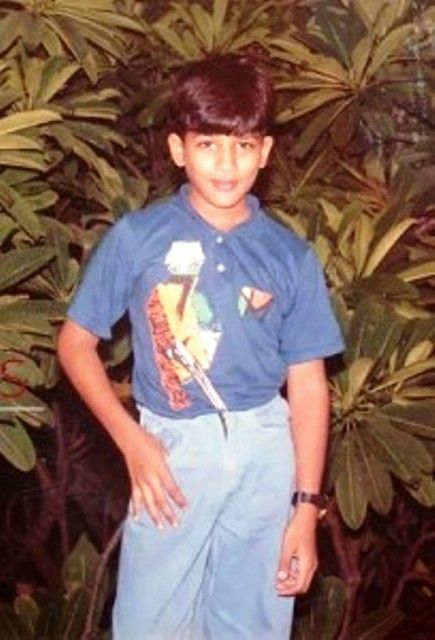 Allu Arjun was born on 8th April 1983, in Chennai, Tamil Nadu to a producer Allu Aravind and Nirmala. Unlike other actors, his family had some famous cinema personalities among which his paternal grandfather who was the film comedian Allu Rama Lingaiah, and his paternal aunt who is married to actor Chiranjeevi are notable ones. 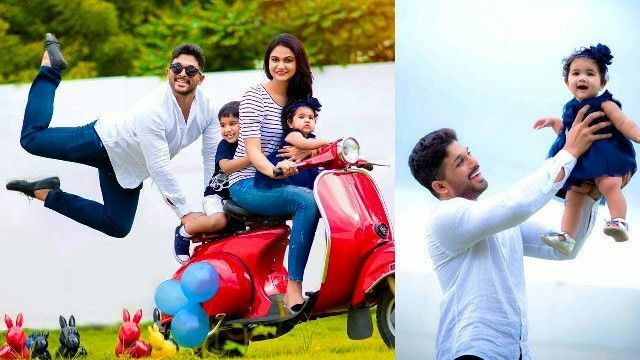 Having a producer as his father, Allu Arjun entered the Telugu cinema world in 1985 with the movie “Vijetha (1985)” which was produced under his father Allu Aravind. Later in 2001 Telugu drama, “Daddy (2001)“, Allu Arjun made an appearance as a dancer. 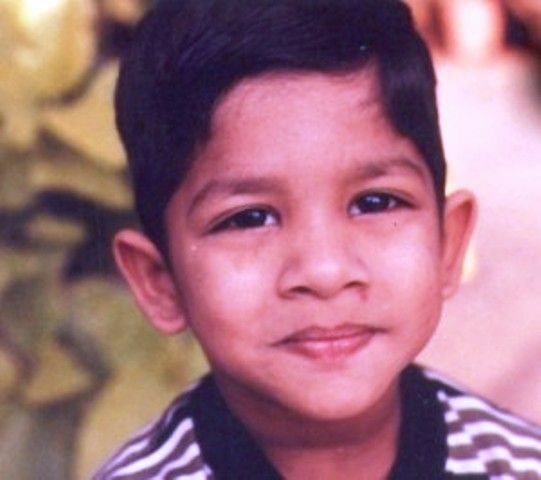 Even though Allu Arjun played the role of child artist earlier, he made a debut as the male lead in the movie “Gangotri (2003)” which was directed by K Raghavendra Rao. Allu Aravind along with Ashwin Dutt produced the movie. This movie became a commercial success and Allu Arjun won the Filmfare awards for best male debut-south. Later, Allu Arjun appeared in the movie “Arya (2004)” which was Director Sukumar’s debut movie. His performance in Arya won him his first Filmfare Best Telugu Actor Award nomination and also he won a Special Jury award at the Nandi Awards ceremony, two CineMAA Awards for Best Actor and Best Actor Jury and the film was a critical and commercial success. His next movie under V. V. Vinayak named “Bunny (2005)”, portrayed the role of Arjun as a college student. His mannerisms, dance and performance were praised by the critics. He next starred in the film “Happy (2006)” which was directed by A. Karunakaran. His role as a fiery journalist in the movie “Desamuduru (2007)”, directed by Jagannadh became a hit too. His portrayal of the character is appreciated by everyone and this movie was one of the successful movies of Arjun. In the year 2010, he acted under the direction of Bhaskar for the movie “Parugu (2008)”. 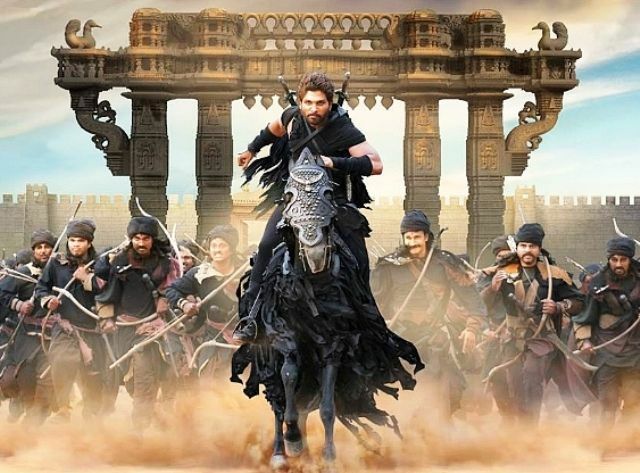 This film got the best actor award for Allu Arjun. He also appeared in a guest role for the movie “Shankar Dada Zindabad (2007)”. Later he worked in “Arya 2 (2009)” and was praised for his dance and acting. After this movie, he was appreciated by the critics as the best dancer of the current era in Tollywood. He made difficult dance moves look effortless in the first four songs of the movie. In the year 2010, Arjun started experimenting his genre when he starred in “Varudu (2010)” and “Vedam (2010)”. The former was an action sequence directed by Gunasekhar where Arjun was praised to put in a competent performance. The latter was directed by Krish was broadly falling into hyperlink cinema. His next experimental movie was “Badrinath (2011)”. He learned martial arts for the movie. The movie was successful. It was directed by the famous director V. V. Vinayak. In 2012, Arjun appeared in the film “Julayi (2012)”. 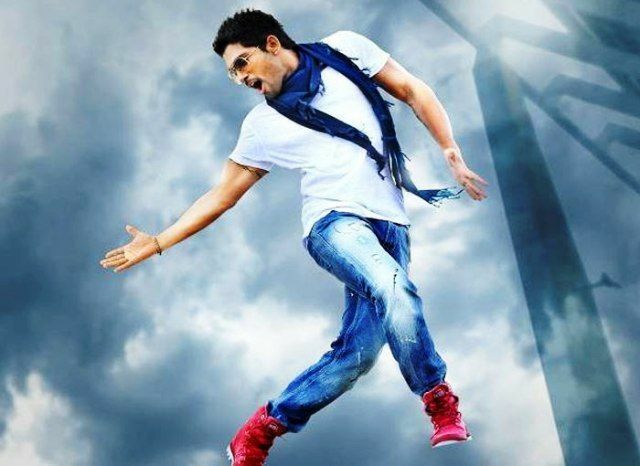 Allu Arjun’s dance in this movie also got praised by the critics. He was nominated for the SIIMA Award for Best Actor. 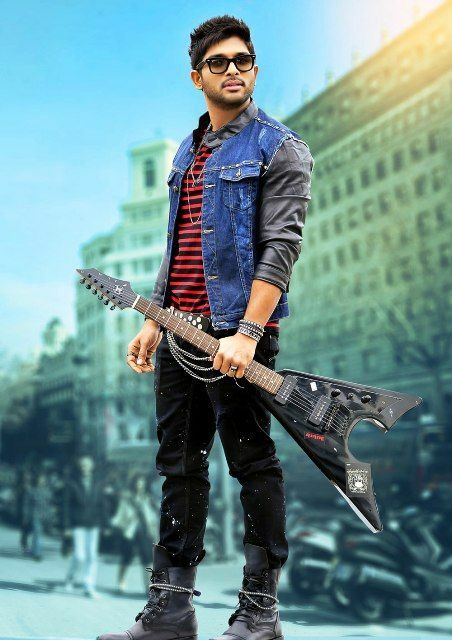 He later did Puri Jagannadh’s romantic love story “Iddarammayilatho (2013)”. His trendy looks got admired in the movie. He once again proved his acting skills and his perfect expressions. India times credited him as “True to his stylish star tag”. He made a cameo appearance in the 2014 VamsiPaidipally’s movie “Yevadu (2014)”. His next role is in the movie “Race Gurram (2014)” portrayed his energetic performance. He won his third Filmfare Best Telugu Actor Award for this movie. Later he acted in Trivikram Srinivas’s “S/O Satyamurthy (2015)”. His role in first Indian 3D historical film “Rudhramadevi (2015)” won him two Filmfare awards making him the first actor to win Filmfare awards under best actor and best-supporting-actor category. Later, he acted in “Sarainodu (2016)”, directed by Boyapati Srinu. His collaboration with producer Dil Raju for “Duvvada Jagannadham (2017)” was released in 2016. 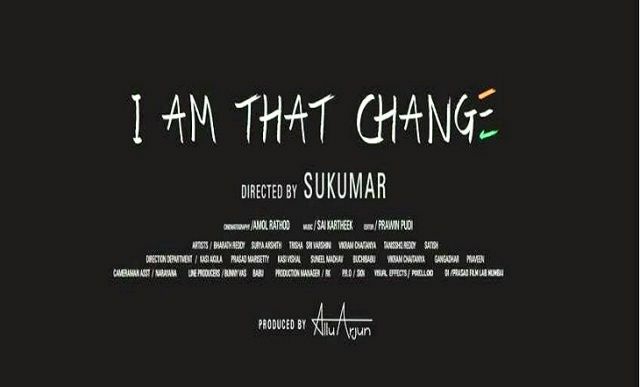 Allu Arjun became a producer in the short film “I Am That Change (2014)”, in which he acted to spread awareness on social responsibility. It was directed by Sukumar. He has started his shooting for the movie “Naa Peru Surya” which is all set to release in April 2018. The director of the movie is none other than writer turned director Vakkantham Vamsi who had previously written the story for Allu Arjun’s 2014 Blockbuster “Race Gurram (2014)“. Arjun married Sneha Reddy on 6 March 2011, in Hyderabad. They have a son named Ayaan and a daughter named Arha. Arjun started a nightclub named 800 Jubilee in collaboration with M Kitchens and Buffalo Wild Wing in 2016. Allu Arjun became the only South Indian celebrity who has 1.25 crore followers on Facebook. The Times of India praised Allu Arjun’s dancing skills, stating that he is the best dancer not only in Tollywood but also in India.